We̠re a community of learners and explorers. At Randolph, academic excellence is paramount, but some of our students̠ most enlightening moments aren̠t on the syllabus. They come during late-night dorm conversations, or riding the Paris Metro on a semester abroad, or by working side-by-side with a famous professor for a summer research project. 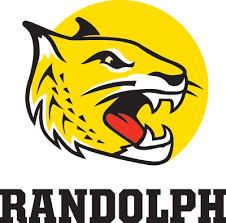 At Randolph, we play lots of sports (Go WildCats! ), get active outdoors, sign up for way too many cool clubs, and love exploring the hangouts of our historic hometown, Lynchburg, VA. Randolph̠s campus�_all trees and grass and red brick buildings�_is minutes from the stunning Blue Ridge Mountains and the James River, so any time is a good time for mountain biking, hiking, rafting or simply taking a scenic study break. Schedule a campus visit and see for yourself.